When planning a trip to the Garden Route, the go-to places are usually one of the ‘big four’ – George, Wilderness, Knysna, Plett but what may just be one of the best-kept secrets of the area, is the town of Sedgefield. I’ve always considered Sedgefield an ‘on-route town’, a drive-through to get to the next place, however my view on this was changed by a stay at Lakeside Lodge & Spa, where slowing down and taking time to relax is a way of life. Sedgefield is a registered ‘CittaSlow Town’, a movement that started in Italy a number of years ago. The criteria to qualify as a Slow Town is varied but follows a similar thread – a commitment to living kinder, valuing local traditions, taking time for contemplation, environmental preservation and more. The town itself has its own pledge within this framework which promotes time for leisure and pleasure, creating a friendly environment, and promoting quality of life – these values are not only evident in the area, but also in the manner of the people we encountered. Lakeside Lodge & Spa is tucked away at the end of a long pan-handle that follows the curves of the vast Swartvlei lagoon. 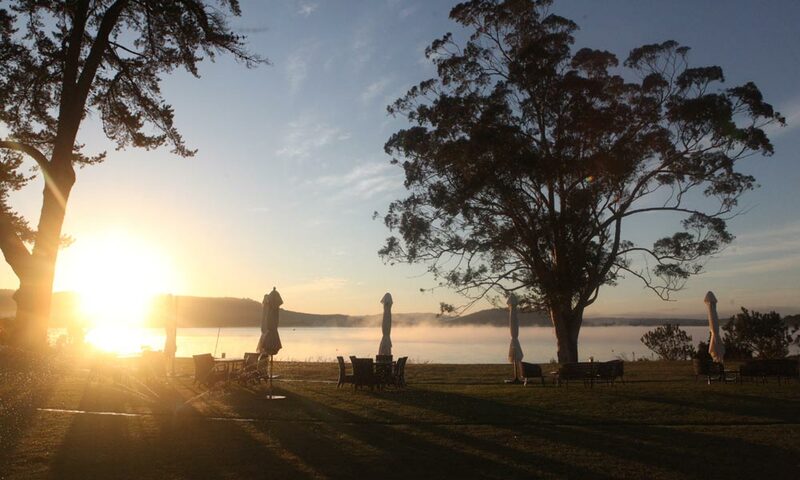 The luxury 9-roomed lodge is perched at the base of the lagoon; it overlooks a grassed embankment and out over the lake, which is surrounded by dense forest that gives the Garden Route its magical feel. A jetty pokes through the reed-lined shore of the lake and the water laps gently at the base of the pontoon tethered there. It’s the kind of place that I imagine could have inspired Mark Twain, and I almost expect to see Huck Finn napping on the jetty, hands behind his head, hat pushed down over his eyes. All rooms at the lodge face the lagoon and the sliding door frontage gives each an uninterrupted view. 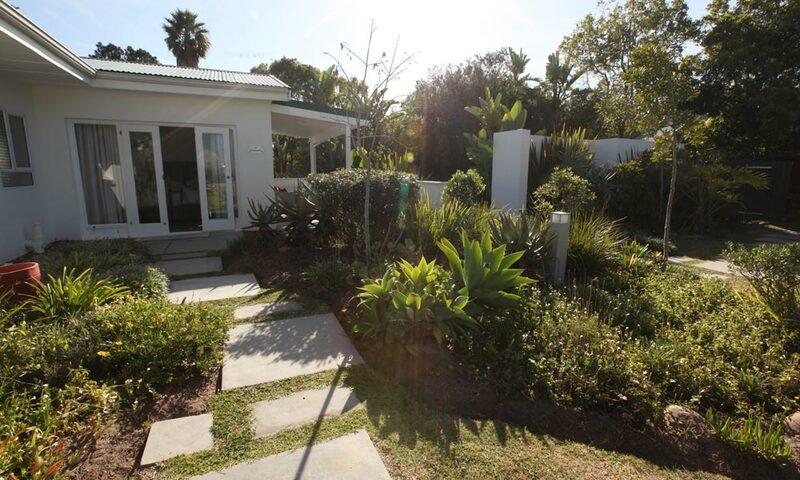 The grassed area and patio directly outside each room give a sense of endless space. The grass is dotted with pretty wrought iron tables and loungers and is dominated by a huge, long-established tree that shades the area. 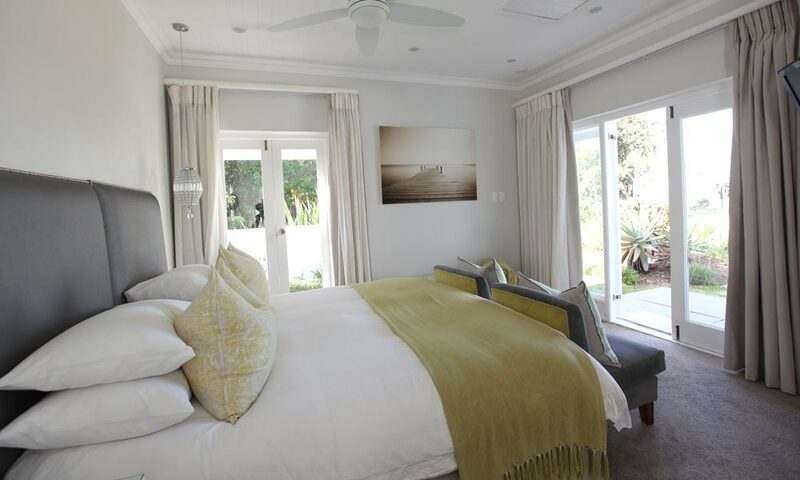 Rooms are elegantly appointed with beautiful finishings. Ours decorated in silver and white with pops of green, plush textiles, crystal chandeliers and an enviable silver gilt mirrored vanity. The bathroom, also exquisite, boasted a deep bath, walk-in shower and dual basin area. Each element has been hand picked and exudes clean lines, sophistication and luxury at every turn. The rooms have all the amenities one would expect from a 5-star establishment, along with extra touches such as a capsule coffee/tea machine, numerous thoughtfully placed plug points (so no need for adapters of any kind), and a contemporary docking station for Apple iPhones/iPods. 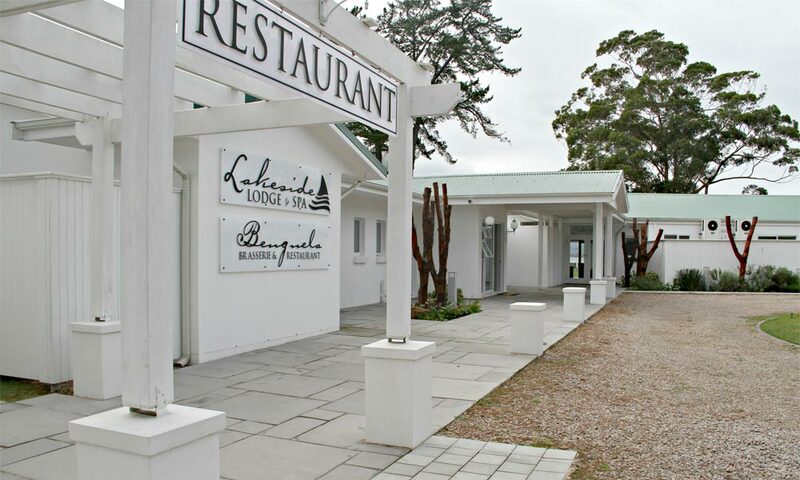 The lodge is home to Benguela Brasserie & Restaurant and both the lodge and restaurant are part of the bigger Benguela group which also includes Benguela Cove Lagoon Wine Estate, near Hermanus, NomNom Eatery in Somerset West and Pirate Golf, also located at the wine estate. The restaurant offers an à la carte menu, which can be paired with suggested wines from Benguela Cove Lagoon Wine Estate. Executive Chef Kelly-Anne Pietersen changes the menu according to seasonality and is inspired by the amazing produce from the surrounding area. Kelly-Ann, who has worked with Bertus Basson at Overture, amongst other high profile chefs, brings her unique style and fine-dining flair to the brasserie. We enjoyed a stunning winter meal, there were a number of standout dishes for us but we decided that the prawn starter was a hit matched by the lemon pot au créme dessert – a tropical and utterly magical take on a créme brûlée. You simply must try Benguela Cove’s Chardonnay if you can, it is a stunner. 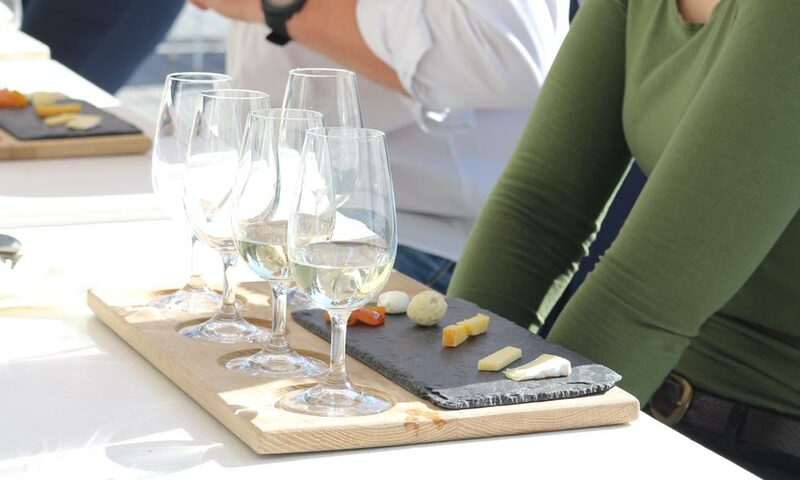 In fact, make sure you set aside time during your stay to do a full wine tasting, you can do as is, or enjoy a paired cheese or chocolate flight, both of which are super fun and tasty. Given the location of Lakeside Lodge & Spa, there are plenty of outdoor activities available and you really must try to get in a few if you can. The equipment is all laid out and ready to use and the team are on hand to assist. You can opt for a kayak, a SUP experience or just a ride out on the pontoon with GM, Karl, who will no doubt have you in stitches with his unique brand of comedy. The lake has plenty of shallow spots, so there is no need to fear the murky depths. The only ‘kayaking’ I have done in the last 15 years has been on a stationary rowing machine inside a gym, so to experience it out on this magnificent lake was truly special. We highly recommend following up an early morning kayak with a well-earned fry up and cappuccino at the brasserie. For the more adventurous sports person, try Stand Up Paddleboarding (SUP), skiing or wakeboarding. If you do try your hand at one of these, take my advice and book a massage at the spa on site. They offer a variety of treatments and a massage to ease your aching muscles is so worth it! I feared not being able to lift a coffee cup the day after our kayaking, but the back neck and shoulder massage I had was a lifesaver. There is plenty on offer to keep you entertained no matter what your desired level of exertion. And, if not exerting yourself at all is what you’re after, you can enjoy a sunset ride on Lady Giselle the pontoon boat with a chilled bottle of Benguela Cove Chardonnay– bliss! If you want to simply just kick back and chill you really can do just that. The loungers on the front lawn offer the ideal spot to chill. Lunch can be served at your lounger or at a table under the shade of the trees and a handy silent buzzer will alert a staff member to your every need. 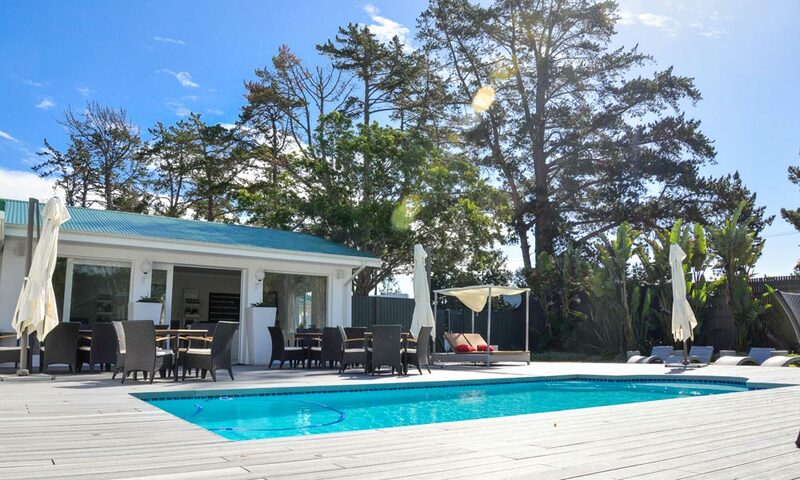 The stunning pool area is also perfect for lazy summer days, glass of vino in hand and sunglasses in place. The grass embankment cleverly disguises a large amphitheatre, which plays host to regular concerts and events so if you’re in the area, look out for what’s on the go. Just adjacent to the amphitheatre is a fire pit where a raging bonfire and cosy cushioned seating provides the perfect place to sit and enjoy a glass of wine as the sun sets. 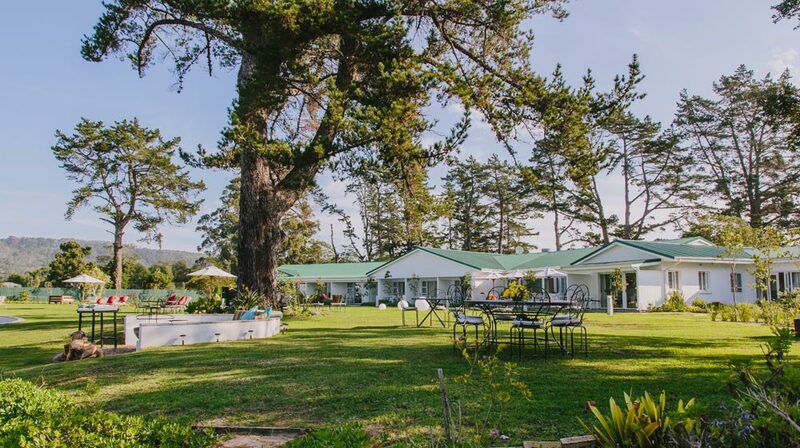 The Garden Route is jammed full of places to choose to stay but few have the spectrum of offerings that Lakeside Lodge & Spa does. Here you are able to enjoy peaceful surroundings just a stone’s throw from the busier tourist spots. This is complemented by excellent food and wine (without having to leave) and a team of staff that genuinely want to ensure that you have a pleasant stay. The Slow Town pledge of the area extends its embrace to all and you will no doubt feel yourself slowing down to its pace during your stay. >> Indulge in a decadent chocolate & wine pairing or a cheese & wine pairing. 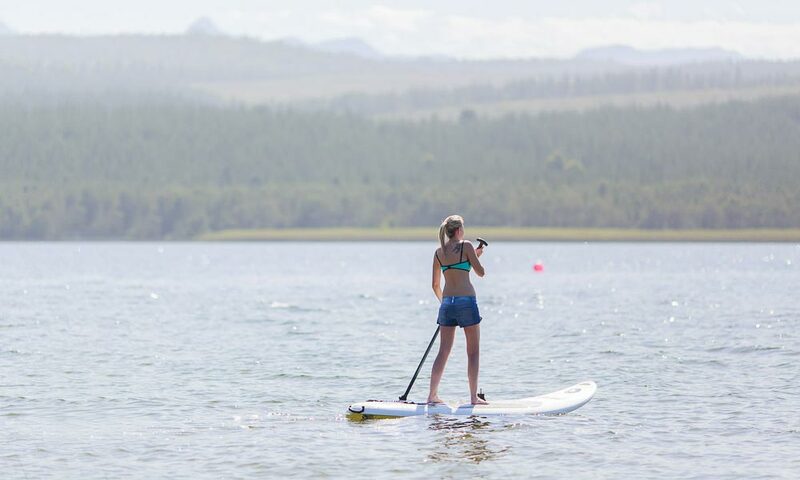 >> Complimentary mountain bikes, kayaks and SUP boards are provided. >> Take a dip in the swimming pool onsite. >> Complimentary Wi-Fi is offered. 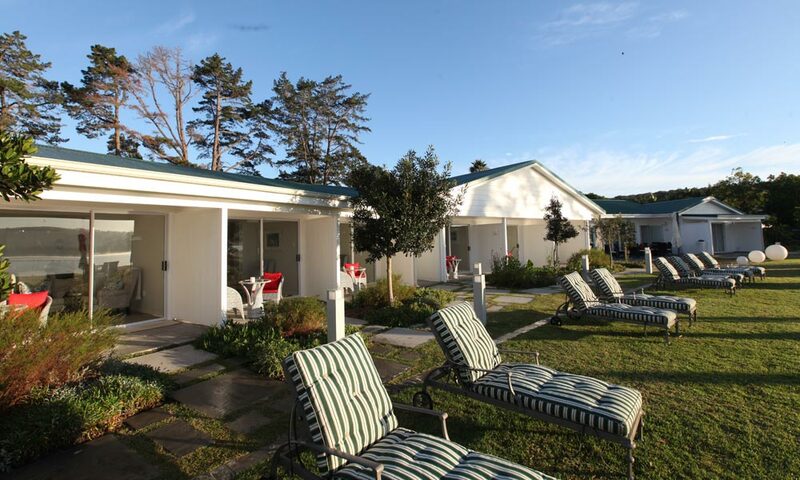 >> The lodge is just a few minutes drive in either direction from the Garden Route’s beaches. Want to win your own idyllic stay at Lakeside Lodge & Spa? 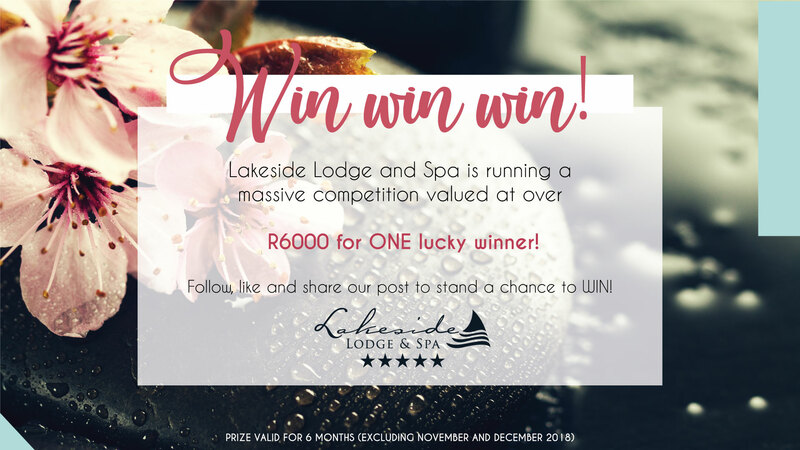 Click here to follow Lakeside Lodge & Spa on Facebook and follow the instructions to stand a chance to win.